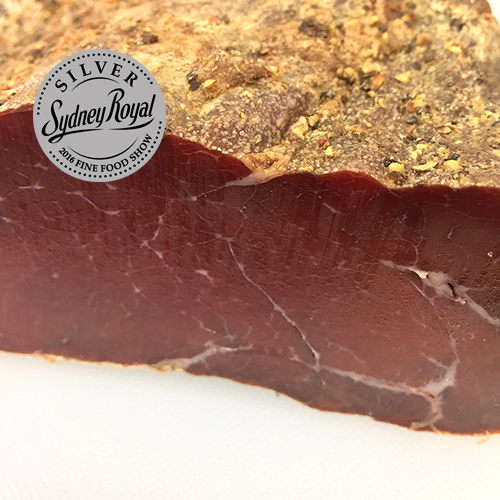 Cecina begins as a choice cut beef rump that is cold-smoked, salted, cured to perfection, and made from local grass-fed Black Angus Australian beef. Best served a drizzle of olive oil and crusty bread. Cecina is a cured beef rump in the style of Leon. It has slight aromas of smoke and a chocolate note due to the gentle cure and long rest in our holding rooms.